As Chief Executive Officer for Energy Services at Enterprise Solutions, Ed provides executive leadership and oversight to the operations of all three of the operating companies with regard to the delivery of energy services to clients. In addition, Ed provides executive leadership for the various administrative functions including finance, accounting, tax, risk management, corporate strategy, technology, human resources, and legal counsel. He brings unique expertise including over 30 years in the practice of engineering and construction law combined with executive-level industry management experience. In recent years, Ed has held the position of Senior Vice President and Chief Financial Officer of Robins & Morton where he also served as a member of its Board of Directors. Ed also served in management positions of increasing importance at BE&K, Inc., culminating ultimately in a position as its Executive Vice President. He joined BE&K, a global engineering and construction company as its Vice President and General Counsel, and in 2007, he took over responsibility for the company’s sales and marketing functions in industrial engineering and construction. In March 2009, Ed co-founded The Martin Companies, a diversified investment company located in Nashville, Tennessee, focused on the healthcare, media, and energy sectors. Ed holds a B.A. from Duke University, a J.D. from Vanderbilt University and a fellowship degree from Harvard Business School. Ed served as a judicial clerk for the Honorable Judge James H. Hancock and then was a partner at Bradley, Arant, Rose and White, LLP from 1985 until 2000, when he joined BE&K. 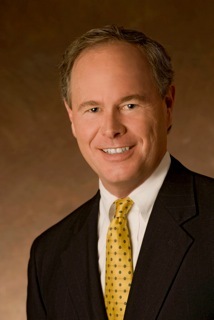 Among his various civic engagements, Ed has served as a past president of the Alabama arm of the Association of Corporate Counsel, Chair of the Magic City Art Connection, member of the Advisory Board for the University of Alabama Birmingham Comprehensive Cancer Center, and a member of the Downtown Rotary Club of Birmingham. In addition to various professional engagements Ed has also been active in education programs. Ed’s teaching engagements have included serving as an adjunct faculty member at Duke University’s Masters of Engineering Management Program and at the University of Alabama School of Law.